At CoreCivic, leadership is a way of being rooted in the values that define our company. Guided by professionalism, respect, integrity, duty and excellence, within our organization there is an immense level of pride in being given the responsibility to lead. Our leaders enact CoreCivic's companywide strategy, guiding their respective areas with the spirit of innovation, continuous improvement and distinction. John Baxter joined CoreCivic in 2008 as director, Mental Health Services. In June 2013, he was named vice president, Health Services. Baxter has more than 30 years of experience in correctional health. Before joining CoreCivic, he spent 24 years with the Federal Bureau of Prisons, where he held a variety of roles, including psychology services administrator. He holds a master's degree from Harding Graduate School of Religion and a doctoral degree in Human Development Counseling from Vanderbilt University. David Churchill joined CoreCivic in August 2012 as Sr. Director, Organization Development. Churchill has over 25 years of human resources, talent management, and organization development experience serving in various senior-level roles, including Sr. Vice President, Human Resources & Development at Bank of America and Vice President, Talent Management at Tractor Supply Company. Churchill holds a bachelor's degree in business management from Eastern Illinois University, an M.B.A. from Aurora University, and a doctorate in Organizational Behavior from The George Washington University. Steven Conry was named Vice President, Operations Administration in April 2018. Previously, he served as Vice President, Facility Operations for Business Unit 2, which is comprised of Divisions III and IV. Prior to joining CoreCivic in 2006, Conry spent 23 years with the New York City Department of Correction, where he was Chief of Facility Operations for four years. He joined corrections in 1983 at the New York City Department of Correction, where he started as a correctional officer and held many leadership roles, including warden, assistant divisional chief, chief of management and planning, and chief of security. Conry holds a bachelor's degree in public management from John Jay College of Criminal Justice, where he later earned a master's degree in public administration. In 2009, Conry earned the Certified Correctional Executive (CCE) certification from the American Correctional Association. Scott Craddock was named Vice President, Chief Ethics and Compliance Officer in July 2018, having served as the leader of Ethics and Compliance since 2014. Craddock joined CoreCivic in 2003 as Assistant General Counsel, and was later promoted to Associate General Counsel. As Assistant and Associate General Counsel, he was responsible for corporate and securities law compliance, corporate governance, and the development of CoreCivic's Ethics and Compliance program. Prior to joining CoreCivic, Craddock served as a corporate and securities attorney at Gibson, Dunn and Crutcher LLP in Washington D.C. and H3GM, PC in Nashville, Tennessee. Craddock holds a bachelor's degree from the University of Kentucky and a Juris Doctor from Columbia Law School in New York. Bill Dalius joined CoreCivic in 2016 as managing director, Purchasing. In that role, he provided crucial oversight and leadership on purchasing issues amidst the company's rebranding. In June 2017, Dalius was promoted to his current role as vice president of Operations (Business Unit I). Dalius has 30 years of corrections experience with the Federal Bureau of Prisons, where he retired as Administration Division Assistant Director & Chief Financial Officer. He also served as associate warden and warden at multiple BOP facilities. His responsibilities outside the agency included testimony before the Department of Justice, Office of Management and Budget, Congress, House and Senate Subcommittees on agency budget matters. Dalius holds a bachelor's degree in business administration from Bloomsburg State College. Additionally, he has completed training courses with Aspen Institute (Justice and Society), the National Institute of Corrections’ Executive Excellence Program, BOP’s Leadership Enhancement and Development Program, and FEMA Emergency Management Institute. Ben Elrod joined CoreCivic in 2003 as a Compensation Analyst. Since then, he worked with several areas of the human resources team including compensation, employee and retirement benefits, staffing, and compliance. He served in roles of increasing responsibility including as the Managing Director, Human Resources beginning in 2008. In June 2017, Elrod was promoted to his current role. Before joining CoreCivic, Elrod worked in human resources at Caterpillar Financial Services and at Aspect Communications as a workforce management consultant. Elrod holds a bachelor's degree in economics from Vanderbilt University and a master's degree in business administration from Vanderbilt University's Owen Graduate School of Management. He also completed the Advanced Human Resources Executive Program at the University of Michigan's Ross School of Business. Brian K. Ferrell joined CoreCivic in 2002 as vice president, Government Relations and he later served as vice president, State Customer Relations; senior advisor for state governmental relations; and managing director, Partnership Relations. Before joining CoreCivic, Ferrell served in the Office of the Governor and the Department of Finance & Administration of the State of Tennessee. He started as legislative and policy assistant and later became the governor's chief legislative liaison and top advisor on corrections. He holds a bachelor's degree from the University of Tennessee at Knoxville, and a doctor of jurisprudence from the UT College of Law. Brian Hammonds was named Vice President, Finance and Controller in April 2014, having joined the company as Director, Financial Planning and Analysis in 2003. He was promoted to Director, Financial Reporting in the Accounting department in 2004 and again was promoted to Assistant Controller in 2005. Hammonds later became Vice President, Treasury in 2013. Prior to his career with CoreCivic, Hammonds was with two Nashville accounting firms, serving as an Audit Senior with Arthur Andersen and an Audit Manager at Ernst & Young where he worked primarily on healthcare companies and publicly traded REITs. Hammonds earned both his undergraduate and master's degree in accountancy at the University of Tennessee and is a Certified Public Accountant. Jason Medlin, Vice President, Facility Operations, Business Unit 2 Jason Medlin joined CoreCivic in 1997 as a Correctional Officer at Northeast Ohio Correctional Center in Youngstown, Ohio, where he also served as Sergeant, Lieutenant, Captain, Assistant Chief of Security and Assistant Warden. Medlin later transferred to other CoreCivic facilities, where he was named Chief of Security, Assistant Warden and Warden. 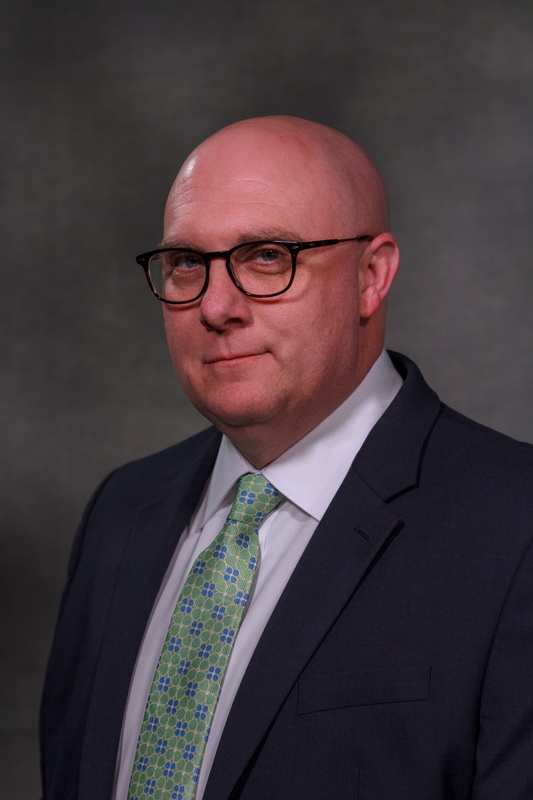 In December 2014, Medlin was promoted to Managing Director of Facility Operations (Division III) at the Facility Support Center, where he oversaw multiple facilities with diverse government partner contracts. In April 2018, he assumed his current role. Medlin holds a bachelor's degree in Criminal Justice Administration from the University of Phoenix and a master's degree in Administration of Criminal Justice from the University of Cincinnati. He served in the U.S. Army for five years. Natasha Metcalf joined CoreCivic in January 2003 as Vice President of Local Partnership Relations. She most recently served as Vice President and Associate General Counsel, Contract Management before being named Vice President, Partner Contracts in August 2008. Prior to joining CoreCivic, Metcalf served, since December 1998, as the Commissioner of the Tennessee Department of Human Services. As head of this agency with a $1.4 billion budget, Metcalf was responsible for more than 130 office locations and 4,000 employees statewide. Metcalf served from 1997 until 1998 as General Counsel for the Tennessee Department of Finance and Administration. In 1996, she was Deputy Legal Counsel to Tennessee Governor Don Sundquist. She began her career as an Associate with the law firm of Kennerly, Montgomery and Finley in Knoxville. She earned her law degree from the University of Tennessee College of Law and a bachelor's degree from Hampton University. John Pfeiffer joined CoreCivic in the position of Vice President, Technology and Chief Information Officer in August 2002. Before joining CoreCivic, he spent three years as Chief of Operations at Bytes of Knowledge, a Nashville-based IT consulting company. Prior to his work at Bytes of Knowledge, Pfeiffer served as Director of Information Systems and Telecommunications at LifeTrust America. From 1994 to 1998 Pfeiffer served as Administrator, Informatics Center at Vanderbilt University Medical Center, and from 1990 to 1994, he served in the U.S. Navy as a Surface Warfare Officer. Pfeiffer is the former President of the Handbell Ringers of America and is Board Chair of Easter Seals of Tennessee as well as a member of the National Board of Easter Seals. Pfeiffer earned a master’s in business administration from Belmont University and a bachelor's degree from Vanderbilt University. He served as Adjunct Instructor of Information Systems Management at the Jack C. Massey School of Business at Belmont University. Brad Regens joined CoreCivic in 2007 as Senior Director and now serves as Vice President, State Partnership Relations. Prior to joining CoreCivic, Regens worked 11 years for the Arizona Legislature, including the last two years as the Director of Fiscal Policy for the Arizona House of Representatives. Regens earned a master's degree in public policy from Duke University and a bachelor's degree in economics from the University of Colorado at Boulder. Swenson joined CoreCivic in August 1992 as a Sergeant at Prairie Correctional Facility in Appleton, Minnesota, when the company acquired that facility. He progressed through positions of increasing responsibility, holding such positions as Special Operations Response Team leader, Lieutenant, Captain, Unit Manager, Assistant Chief of Security, Chief of Security, Assistant Warden and Warden. He was promoted to Managing Director, Facility Operations in 2007, providing facility management oversight for Division II, which included all six CoreCivic facilities in Arizona and three of the four CoreCivic facilities in Oklahoma. In June 2010, Swenson was promoted to Vice President, Facility Operations, Business Unit II, overseeing Divisions III and IV, consisting of 22 facilities. In October 2016, Swenson assumed his currrent role as Vice President of Community Corrections. He now oversees the operations of the company's residential reentry facilities. Swenson holds bachelor’s degrees in psychology and sociology from North Dakota State University and was named to the Psychology National Honor Society. Bart VerHulst joined CoreCivic in 2007 and has served in a variety of federal and local partnership relations roles. Prior to joining the company, he spent more than a decade on the staff of U.S. Senate Majority Leader Bill Frist, ultimately serving as Frist's chief of staff. In addition to his partnership relations work, VerHulst coordinates CoreCivic’s annual Chairman’s Charity Golf Tournament, which has supported organizations providing opportunities for former offenders, victims of crime and underprivileged youth for more than 20 years. VerHulst holds a bachelor's degree in business administration from Hope College. John Paul Wooden joined CoreCivic in 2004 as Manager, Corporate Accounting. He was promoted to Director, Treasury in 2005, and became Senior Director, Accounting & Tax in 2007. Wooden was promoted again to assistant controller in 2013. He assumed his current role in 2016. Prior to joining CoreCivic, Wooden worked at Arthur Andersen and Ernst & Young, where he focused primarily on the healthcare industry. Wooden is a Certified Public Accountant and earned both his undergraduate and master's degree in accounting from the University of Tennessee.